Tiles porcelain is a tile supplier based in County Durham. With years of experience and experts in the industry; tiles porcelain has become one of the UK’s top suppliers. Have a look around our website, for great deals & free advice. The Tile Shed is an established family tile business importing tiles for over 50 years, and one of the most distinguished independent retailers of bathroom wall tiles,kitchen floor tiles and porcelain floor tiles. Tiles are imported directly from around the world to our warehouse in Birtley, saving you on the tiles for your home. We always have massive stocks of wall tiles and floor tiles for you to collect and take away today. and sell a huge range of tiles for public and trade customers. We're always on hand to answer any queries you may have about tiling needs, from design ideas for your bathroom wall tiles or kitchen floor tiles to materials required for installation. With a wealth of experience in tiles and a range of unbeatable bargains, we guarantee to meet your tile design needs whatever your budget. Here at The Tile Shed we work hard to get the right tile deal for you. With a range of experience and over 50,000 tiles always in stock, we guarantee to find the right tile for you. We always put our customers first, working from our tile showroom in Chainbridge Industrial Estate,Blaydon, Newcastle or our tile showroom and warehouse in Portobello Industrial Estate, Birtley. Come and see us for a first class service and great bargains on all of our range of wall tiles, floor tiles and tile accessories. CTD Tiles provide the exclusive GEMINI collection. 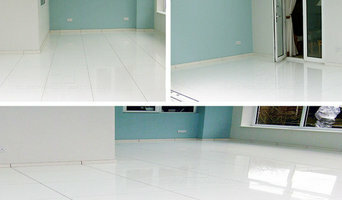 White Quartz Tiles gives high image to the office flooring area. 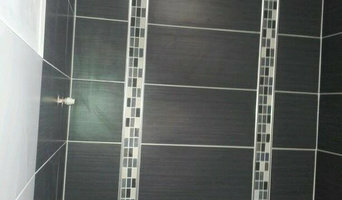 The company manufactures and sells bright and shining Quartz Tiles for the construction of home and other buildings. The buyers select us as we give the Quartz Tiles at affordable rates and with free delivery option to them anywhere in the UK. The company has been maintaining the best quality manufacturing process for its entire range of quartz tiles. Quarts Tiles have great value with designers and homeowners and this is because of the special features and qualities of these attractive tiles. No sealing is required, for the quartz tiles, which is an additional advantage for users. The historically rich quartz tiles have specific purposes, in building construction jobs and thousands of monuments have been constructed with the Quartz Tiles, in many countries. BlackQuartzTiles.co.uk has perfectly cut quartz tiles with reduced price. Family business established in 1983, supplying all types of tiles ceramics, porcelain and mosaics to all sectors public and trade . Also leading suppliers to architectural and contract market. Wilsonart UK is the largest producer of decorative surface solutions in the United Kingdom. We manufacture an array of high performance surfaces in a multitude of different colours, designs and textures, for both residential and commercial use. Online shop aimed at the tile trade but open to the public, selling all wall and floor tiles, tools & accessories, Tilemaster Adhesives, and the best grouts such as Karakoll Fugalite. If it’s a high-end finish you desire take a look at their exclusive Grespania Tiles range, the best material direct from Spain. Perfect Home And Garden is a family run business based in Shildon. We have years of experience offering the finest range of high quality products such as stunning porcelain and ceramic tiles, natural stone and paving from some of the best suppliers around the world. We have a large range of fantastic products to see in our showroom from tools to tiles, come and speak with one of our friendly team. W Rodgerson & Sons, established in 1969, is a family business with over 40 years of tiling experience. We are the longest established tiling contractor in Northumberland. 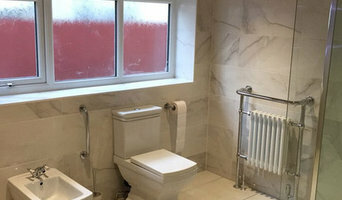 We are an award winning company based in Seaton Sluice, our reputation for quality and standard of work is second to none and have successfully established ourselves as one of the leading tiling contractors in the North East and specialise in commercial, industrial and domestic contracts. TilesPorcelain have been up and running since 2007 and have always strived to produce and supply the highest quality Floor, Wall, Bathroom and Kitchen tiles. The showroom is always fully stocked with the latest range of tiles and our experience team will always be on hand to help with any enquiries. Our team can be contacted via Phone, Email, Fax or in store. All of our tiles come at a reasonable price and if you cannot find your perfect tile instore, then simply go to our website for an even wider range. 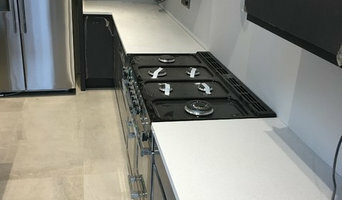 Worktop installers and tilers in Newcastle upon Tyne, Tyne & Wear can advise on the best tiles and materials to use based on your tastes and requirements and then will be able to install them to a high finish in your home. Kitchen worktops are a major part of your kitchen – you need surfaces that will be scratch and heat resistant, but at the same time still look attractive and work in harmony with your kitchen units, splashback and other kitchen elements. A worktop manufacturer and installer will be able to fit new kitchen worktops or replace old ones with ease, helping you to pick out the best kitchen worktops for your home first. Tiles are so versatile that they can be used in kitchen splashbacks, floors, bathroom walls and as decorative designs elsewhere in the house. 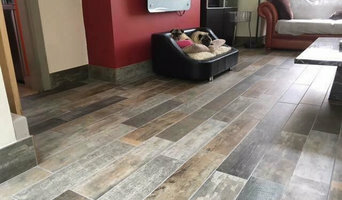 Tile manufacturers and tilers in Newcastle upon Tyne, Tyne & Wear will have a great range of tile designs, sizes and materials to choose from and will help you to pick the best tile for the job. Laying tiles may look easy sometimes, but one badly laid tile can ruin a whole floor or wall, so it’s really best to leave it to a skilled tiler. With Houzz you can find Newcastle upon Tyne, Tyne & Wear tilers, tile manufacturers and worktop installers near you and check their previous projects, reviews and ratings to decide if they’re a good fit for your home design project. Why should I hire worktop installers or tilers in Newcastle upon Tyne, Tyne & Wear? Perfectly laid tiles and worktops can look simple and seamless once finished, but installing them is far harder than it looks. It really pays off to hire a Newcastle upon Tyne, Tyne & Wear tiler or worktops professional as they will have the experience and expertise to finish the job efficiently, quickly and to a high quality. From metro bathroom tiles and porcelain tiling, to kitchen worktops, splashbacks and travertine floor tiles, there will be a tiler or worktop professional who can install the surface you need for your bathroom or kitchen design. There will even be tile and worktop repairers to help you if you need a quick fix-up to your surfaces. Tile manufacturers, worktop professionals, and often tilers in Newcastle upon Tyne, Tyne & Wear themselves, will also be able to advise you on the right materials to use if you’re not decided on one particular type. They can tell you the advantages of the different flooring, wall tiles and kitchen worktops so you can make the right decision for your home. If you’re after a bespoke tile pattern, mosaic or mural created and laid in your house, this will also be possible with Houzz as we list such a wide range of tile manufacturers, worktop professionals and tilers in Newcastle upon Tyne, Tyne & Wear. It could be the case that you can find a design or construction company that can offer tiling and worktops as part of their work, whilst also undertaking other projects for your house redesign, so it’s worth looking out for these professionals, too. Here are some related professionals and vendors to complement the work of tiles, stone & worktops: Interior Designers, Architects & Building Designers, Main Contractors, Kitchen & Bathroom Designers, Design & Build. Find a tiler or worktops professional on Houzz. Narrow your search in the Professionals section of the website to Newcastle upon Tyne, Tyne & Wear tilers and worktop installers. You can also look through Newcastle upon Tyne, Tyne & Wear photos to find projects you like, then contact the contractors or tilers in Newcastle upon Tyne, Tyne & Wear who worked on the tiling work or kitchen worktops.